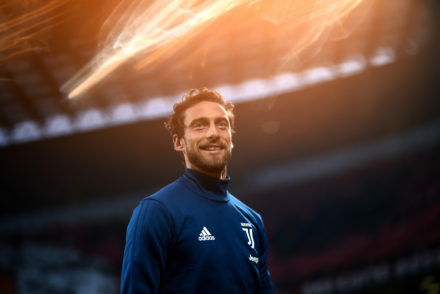 It’s been a remarkable season so far for Juve and it only seems to be getting better with each game, especially in the Champions League where the progression and improvement has been most evident. The first-leg in Monaco (much like the game against Barcelona) highlighted the flexibility of the team to maximum effect as they shifted between 3-4-2-1 when in possession to 4-4-2 when defending, seamless changing shape as the game progressed, every player fully aware of his role. It’s a testament to the hard work of the players and also to Max Allegri who has made subtle and significant changes to take us within 90 minutes of the final. The weekend game was something of a disappointment, especially as it was a derby against Torino and I counted at least 4 clear-cut chances to open the scoring in the first half; The approach and attitude was perfect as we dominated for large portions of the game and created numerous opportunities, however we lacked that clinical and ruthless edge which sometimes seems to go missing when Higuain isn’t on the pitch. There was a hat trick of chances for Mario Mandzukic alone and it was a real shame to see the 33-game winning streak at the JStadium come to end. I can only imagine that the players’ minds were elsewhere and despite the feeling of an opportunity missed, it might be a blessing in a way – We had a similar result/performance against Atalanta a few weekends back and that served as an important lesson for the players ahead of the first-leg against Monaco. “Tomorrow we’re playing against Monaco and we still have to qualify for the final. “We have to win in order to get to Cardiff. Monaco have nothing to lose, they have players that can cause great difficulties. “Dani Alves? He’s in a good run of form, like the rest of the team. After his injury, we found an important player that brings us experience. “Tomorrow’s choices? I still have to decide whether to play Barzagli or Cuadrado. “Marchisio can be a great gamechanger, like Pjanic was on Saturday. 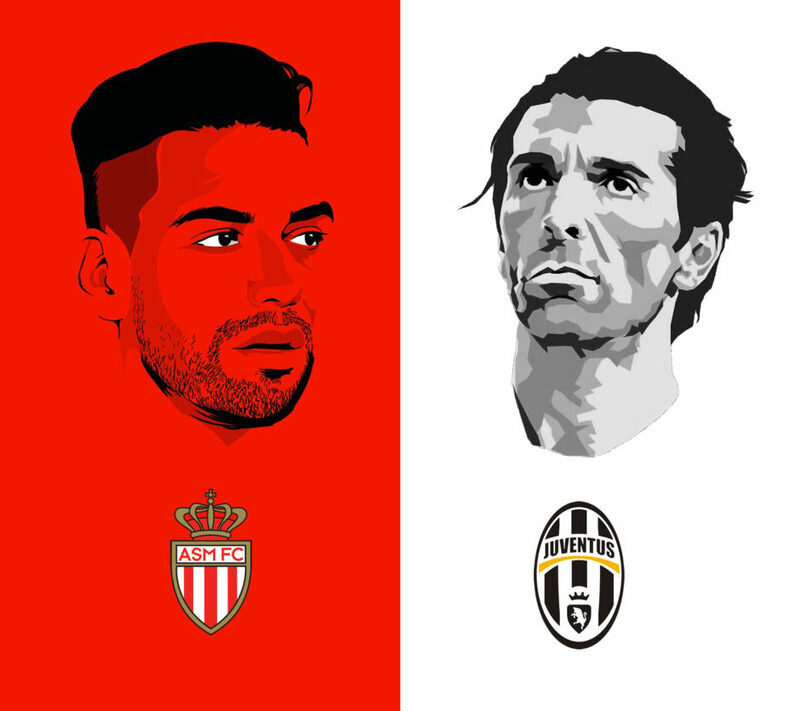 “What must Juve do tomorrow? Play an aggressive game, play well technically and even better than we did in Monaco, where we were often wrong, with more patience. “Still, we’re in a beautiful spell. We’re in full swing. 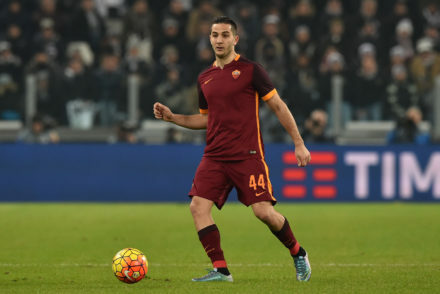 “We still have to win the Scudetto, so we’ll think about getting to the final in Cardiff first and then Roma. “The point against Torino? It was crucial not to drop points on Saturday. We won 33 times in a row at home, and sooner or later it had to stop. “Games are there to be won, but when you can’t, it’s important not to lose them. “What mustn’t be done tomorrow? We mustn’t worry about winning by force, but at the same time we have to play the match as if it was a dry one. 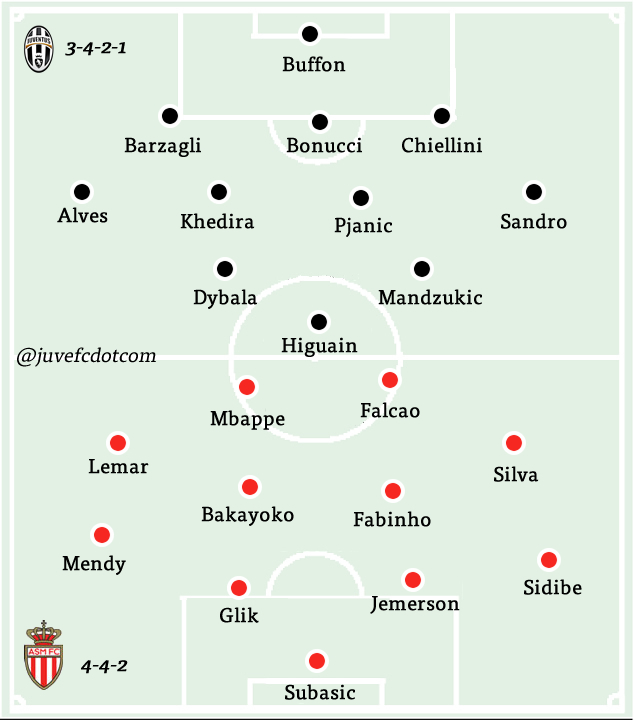 The word from Monaco suggests they’ll field the same starting XI with no changes to lineup or tactics, which would likely mean that Allegri will field the same 3-4-2-1 style formation that worked to such great effect a week ago. Pushing Dani Alves a little further up the pitch and having Andrea Barzagli on the right of the back-three helped limit Kylian Mbappé to handful of chances while giving the Brazilian full-back more license to get forward in support of the attack. It evidently paid off in great fashion as Alves provided the assists for Gonzalo Higuain’s goals while turning in one of his best performance so far this season. The starting XI really writes itself in a game of this magnitude: Gigi Buffon was rested at the weekend with this game in mind while Giorgio Chiellini wasn’t risked either, especially when you factor in his exceptional displays in the Champions League this season. Leonardo Bonucci and Andrea Barzagli will make up the back line with Alex Sandro at left wing-back, Alves on the right, while Sami Khedira and Miralem Pjanic make up the midfield pairing. Mandzukic and Paulo Dybala will likely sit in behind lone striker Gonzalo Higuain, aiming to push into the wide areas when possible.